There’s a good chance that your emails have some kind of signature at the bottom, including perhaps a scanned image of your actual signature. It makes it look as though you have actually “signed” the email you are sending to people. Of course, everyone who gets an email from you knows that you haven’t actually signed the message, but it is a nice thought. The whole notion of “signing” things electronically is commonplace. 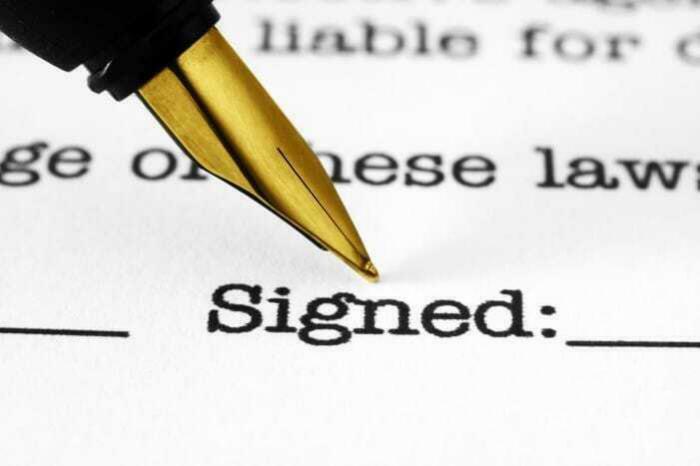 Indeed you are asked to “sign” contracts for all manner of online services you use, simply by saying “I agree” or ticking a box “Yes” to confirm something. Corporate lawyers perceive this as being a signed agreement. The trouble is, the rest of us do not. New research shows that largely we are rather negative about any kind of electronic signature. It turns out that we prefer the real thing. Electronic signatures are less trusted than real ink. Research at the University of Virginia has found that we perceive them to be inauthentic. Indeed the researchers say that their study shows that we have a “deeply rooted rejection of the technology as being equal to sentient beings.” In other words – no surprise here – we prefer things from real people instead of technology. In a series of studies the research looked at how “present” the person was. Ticking boxes signified the least amount of human presence. The research found that the least “present” we thought someone was, the less we trusted their signature. The greatest “presence” is for documents signed by hand, in ink, by the individual on a physical piece of paper. So, what does mean for your online business? It suggests that even if you rely on electronic signatures, you ought to have some kind of physical signature. For instance, if you get people to sign electronic contracts with your business it would be a good idea to print it out, sign it in ink yourself and send it back to your client by post. Similarly, if people sign up for some kind of electronic service with you, such as a series of downloads, a physical document confirming the service, together with your signature, will help seal the deal. Physical documents sent in the post or handed directly to people increase trust. Plus raised trust means greater likelihood of repeat business. This research suggests you should not throw away your pen just yet. Nor should you ignore the power of real documents. Electronic documents and e-signatures may be convenient and legally binding, but it turns out you cannot yet dismiss the need for real signatures on real documents if you want to enhance trust.